On February 12, the President released his proposed budget for FY 2019. The proposal includes a total of $254.3 million for the Pipeline and Hazardous Materials Safety Administration (PHMSA), a decrease of $6.3 from FY 2018. 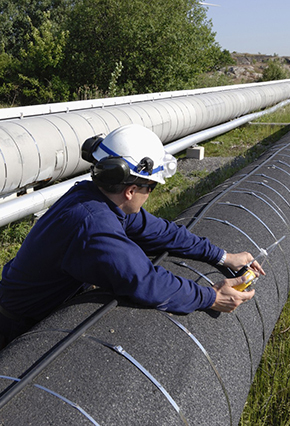 The proposed budget includes $150.2 million for pipeline safety programs, a decrease of $5.1 million, and a total of $52.1 million for hazardous materials programs, a decrease of $4.5 million. Newly Revised PHMSA Rulemakings Update. The tables below summarize the status of pipeline safety rulemakings pending before PHMSA, as reflected in the Department of Transportation’s recently posted January Significant Rulemaking Report and the Fall Unified Regulatory Agenda, released by the Office of Management & Budget’s (OMB) Office of Information and Regulatory Affairs (OIRA). The Unified Regulatory Agenda appears in two principal parts: Current Agenda Agency Regulatory Entries for Active Actions and Current Long Term Actions. PHMSA seeks comments on renewal of information collection for records maintenance. On February 12, PHMSA issued a notice and request for comments on the renewal of an information collection that requires owners and operators of gas pipelines to maintain records, make reports and provide information to the Secretary of Transportation at the Secretary’s request. The existing information collection expires April 30, 2018. Comments are due to PHMSA by April 13, 2018. The National Protection and Programs Directorate announces that the Critical Infrastructure Partnership Advisory Council will convene a Critical Infrastructure Summit. On February 12, the National Protection and Programs Directorate published an announcement that the Critical Infrastructure Partnership Advisory Council (CIPAC) will convene a Critical Infrastructure Summit on March 1 and issued a request for public comments. Topics to be addressed include Cybersecurity and Critical Infrastructure. CIPAC’s Critical Infrastructure summit convenes Sector Coordinating Council members who own and operate critical infrastructure and representatives of a variety of governmental entities comprising the Government Coordinating Councils, among others. Public comments are due February 27, 2018. SB 18-167. Introduced on February 12, this bill would establish an underground damage prevention safety commission as an independent agency within the state’s Department of Labor and Employment. The bill would give the commission rulemaking and enforcement authority regarding excavation damage prevention and require the commission to execute a memorandum of understanding with the state’s notification association to facilitate implementation and administration of underground damage prevention laws. The proposed legislation is intended to address the issues raised by PHMSA in its 2016 finding that Colorado’s enforcement of excavation damage prevention laws is inadequate. The bill was referred to the Senate Transportation Committee. On February 13, the Colorado Oil and Gas Conservation Commission (COGCC) adopted comprehensive new regulations enhancing the design, installation, maintenance, testing, tracking and abandonment of flowlines and crude oil transfer lines. In November 2017, the KYPSC proposed to amend its pipeline safety regulations to eliminate redundancy with the federal regulations, including those governing reporting requirements and drug testing, and to incorporate the federal regulations in 49 C.F.R. Parts 191, 192, and 199 by reference. The proposal also would impose more stringent requirements for the frequency of sampling to detect and verify the proper level of odorant. Comments were filed in January. AR107. Introduced February 8, the proposed resolution would affirm the importance of modernizing and replacing certain natural gas pipeline facilities in New Jersey. The Resolution was referred to the Assembly Telecommunications and Utilities Committee. AB2614 and S679. These bills would increase civil penalties for violations of pipeline safety requirements applicable to gas or hazardous liquid pipelines from $100,000 to $200,000 for each violation per day and would increase the maximum civil penalty to $2,000,000 for any related series of violations. AB2614 has been referred to the Assembly Telecommunications and Utilities Committee; S679 has been referred to the Senate Economic Growth Committee. HB2273 and SB2512. These bills would increase the maximum daily civil penalty for pipeline safety violations from $10,000 to $100,000 and would increase the maximum civil penalty for a continuing series of violations from $500,000 to $1 million. HB2273 was introduced on February 7 and has been assigned to the Business and Utilities Committee. SB2512 was introduced on February 1 and has been referred to the Senate Transportation and Safety Committee. H.749. This bill was introduced on January 30 and would amend and expand the scope of Vermont’s Underground Utility Damage Prevention System. The bill was referred to the House Committee on Energy and Technology.